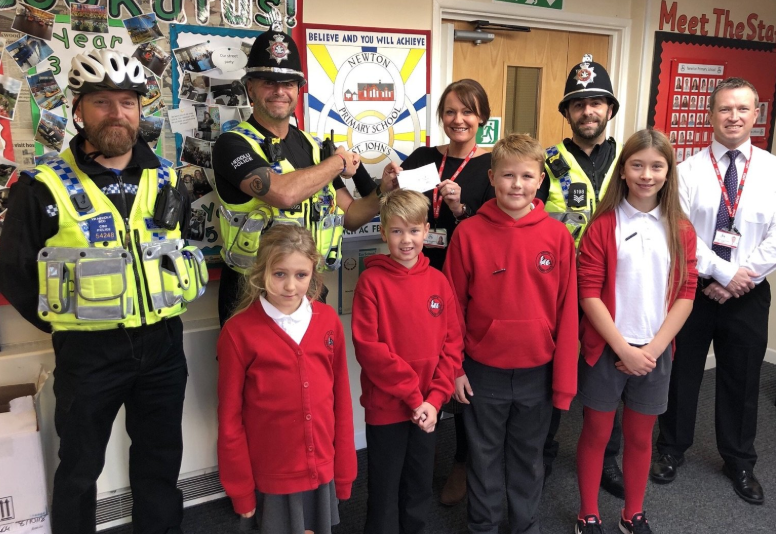 SWPPorthcawl are proud to present a cheque for £500, raised from the tuck shop, to Newton Primary on behalf of PC’s Francis and Stephens today. This money will go towards valuable play equipment for the school yard. Proud to support the physical well-being of our local children.